I wanted to become a fashion designer, but what I did not expect what how this ambition has led me to a world of imagination. I did a 6 weeks dressmaking course which kind of put me off dressmaking as I am not very good with accurate measurements. However, while thinking about designing, I was advised to try acting in order to understand theater costumes. As it turned out, I have a wonderful time and this opened up a whole series of exploration into dance, acting, writing etc etc …. 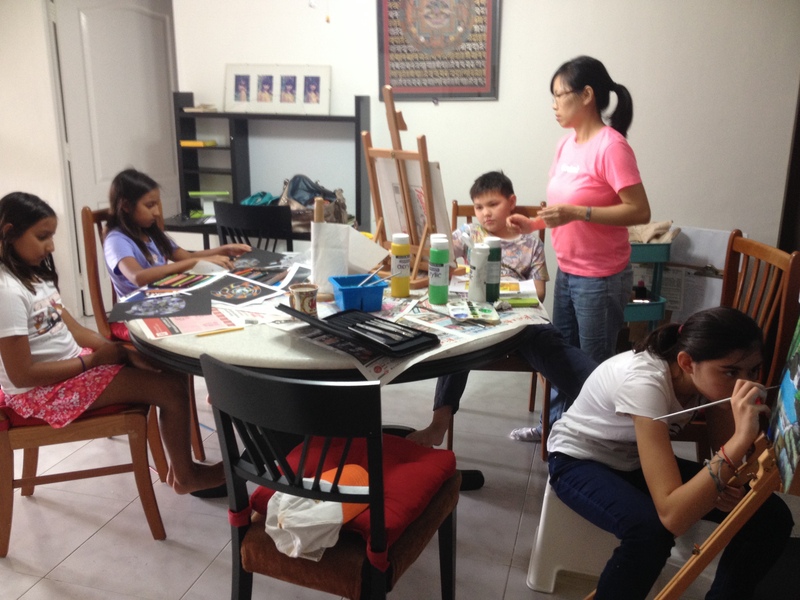 I have taking Art Classes from Teacher Ceiling from Inside Out Drawing Studio for more than 2 years now since 2013. This is an ongoing activity. I have posted my recent fine art works in the Gallery. Most are works that I have been coached on. In particular, the ” Last Life” is my own inspiration. It is my submission for 2014 Home-school Concert Art Exhibition. Please read here for more on the “Last Life“. First on the left is me. This was the first time I tried acting and it was lots of fun. I attended Act3 for 5 days at 3 hours each day. 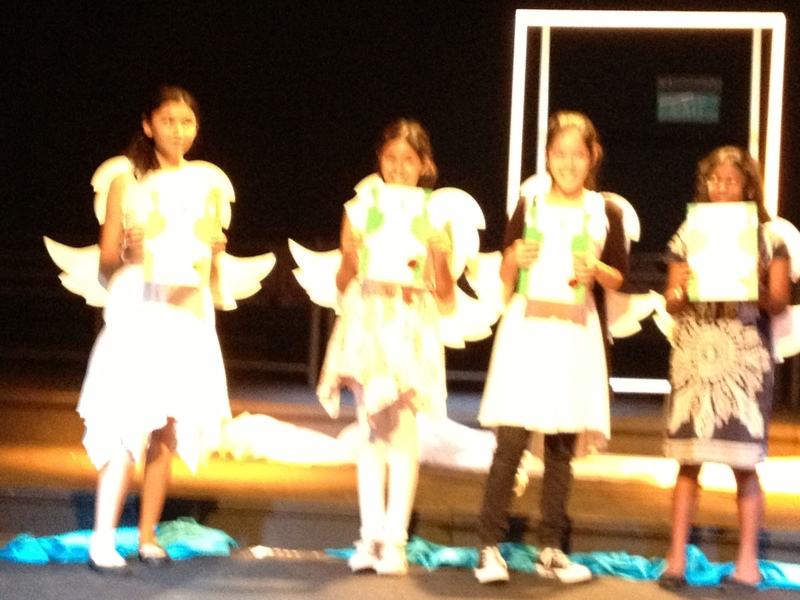 At the end of the programme, we had a presentation of a 20 minutes play called Teen Angel. I had to memorize the script and it was the first for me. I had really enjoyed acting. The play went well. At the end of it, I felt well accomplished. It was 6 months before I had another go at acting. We went back to Act3 for 1 week holiday programme. This time I did an abridged version of Shakespeare’s Midsummer Night Dream. After this holiday programme, I am left with a need to do more. Block 15 is the very first class I attended at CentreStage. It has inspired me in many ways. I have learned many different things such as making an advertisement, directing, filming, improvising and others. 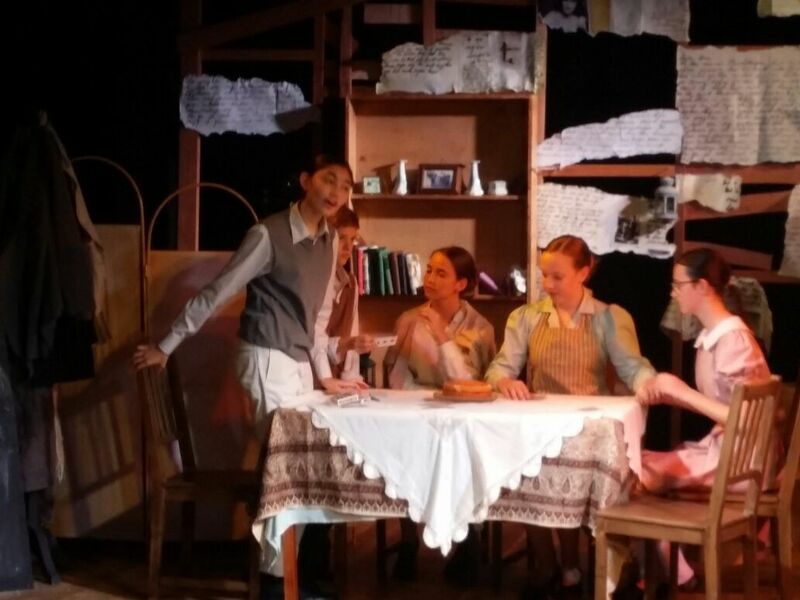 For many months we prepare for our presentation of Goodbye Tom with Block 15, which we presented in Centre Stage Black Box on 11 Dec 2014. Please click to know more about Goodbye Tom. This is a 2 hours per week class. I had to audition to get into the class. I presented a monologue of Queen Margaret from Shakespeare’s Richard III for my audition. 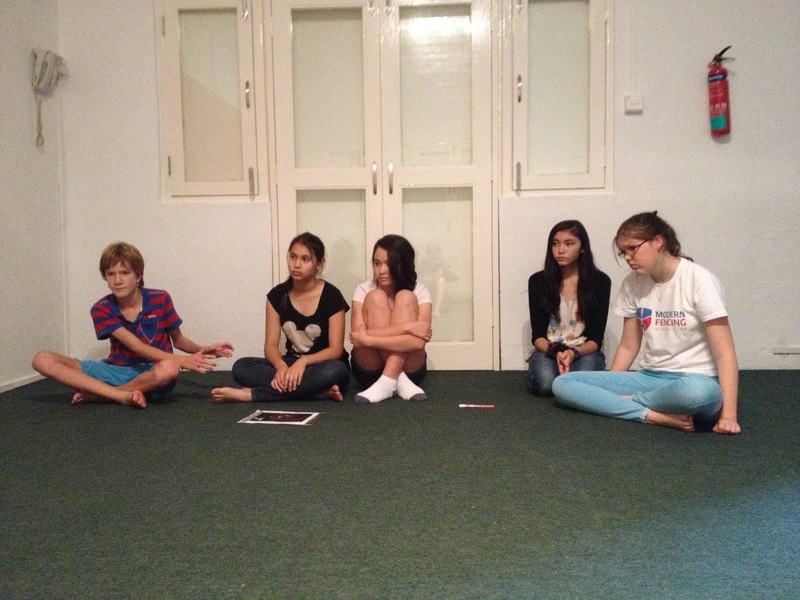 In the class we concentrated purely on our acting skill. For our presentation at the end of term, we did a presentation of Shel Silvertein’s poems. I am in love with memorizing poems. 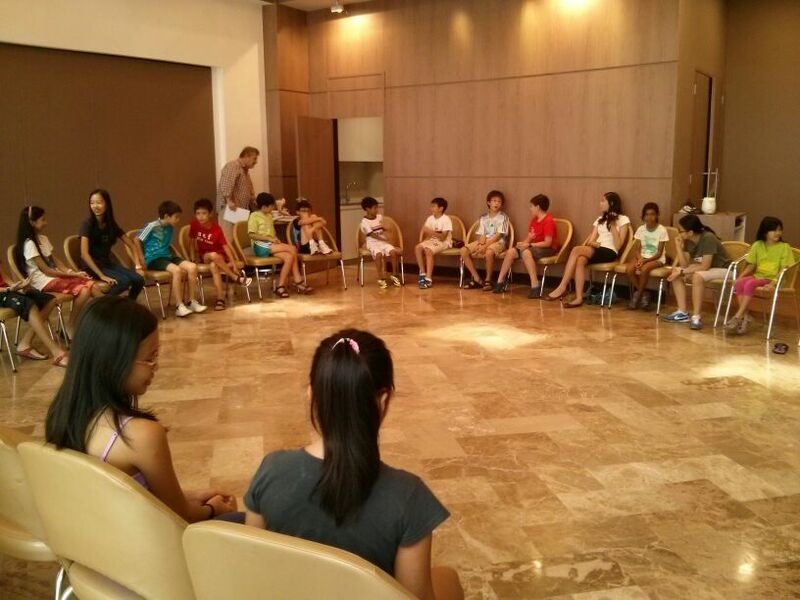 Drama Workshop for The Merchant of Venice with Royal Shakespeare Company, Season Park Condo Singapore, 10 May 2014. 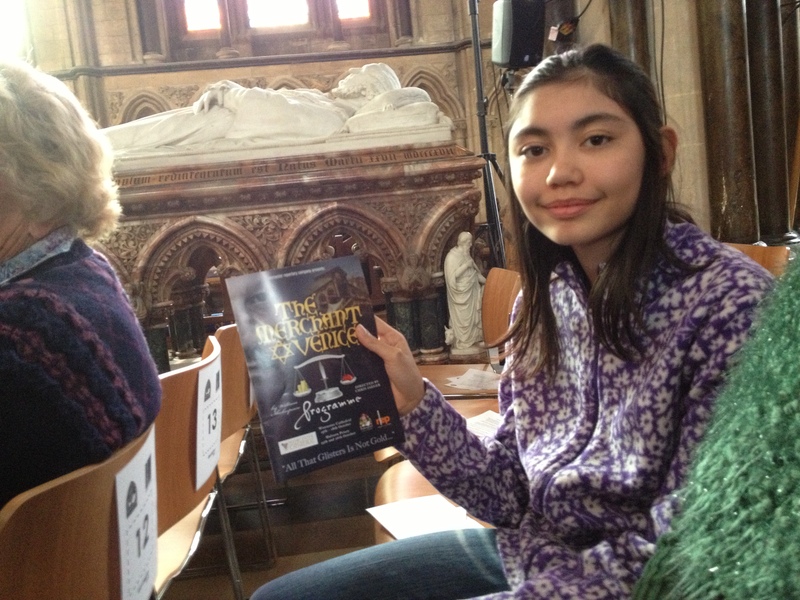 Please read about my feedback on the workshop in my post on The Merchant of Venice. 20 of us coached by a representative from Royal Shakespeare. 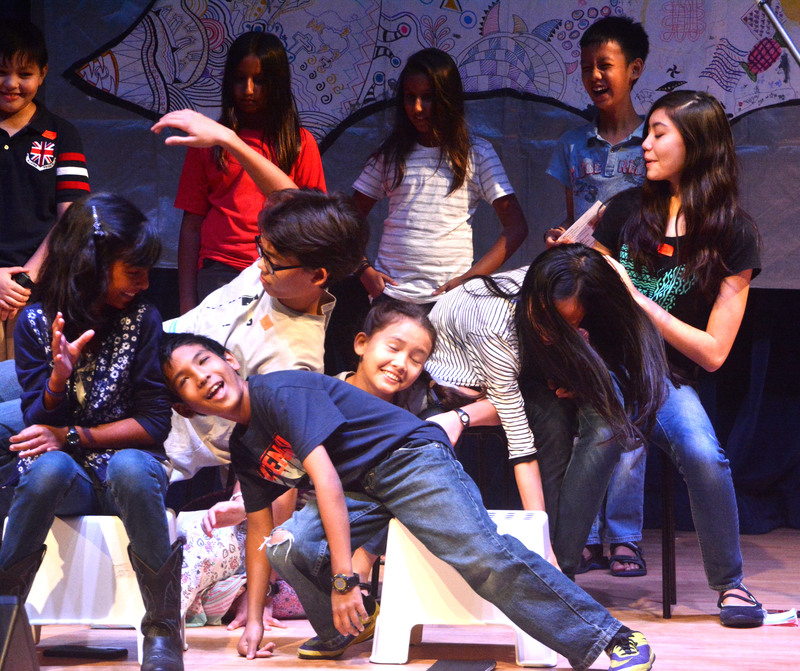 Below are a series of opportunities where I was able to apply my skill that I have learnt from my drama classes. 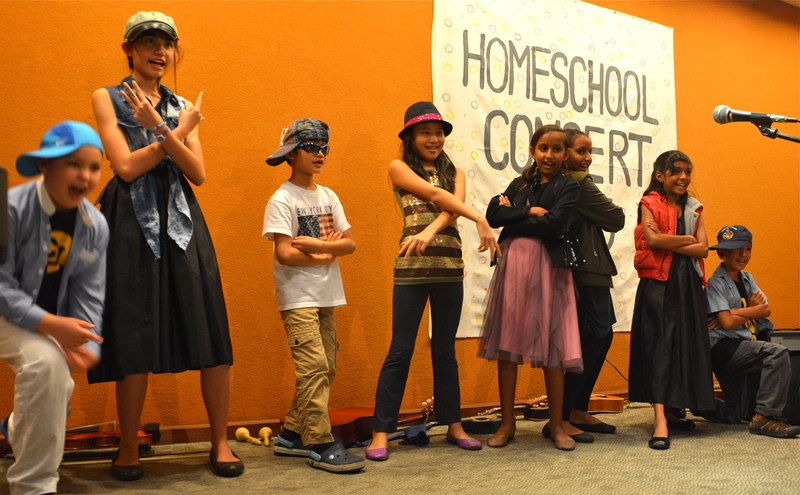 A group of us were able to rap William Wordsworth’s Daffodil at Homeschool Concert 2013 held at Toa Payoh Community Centre in December 2013. Learning to memorize my script in my holiday programme has proven handy here. I was one of the 4 emcees for Homeschool Concert 2014 held at Singapore Civil Service Club on 3 December 2014. I was no longer shy and was able stand on stage confidently. Thanks to all my acting classes. 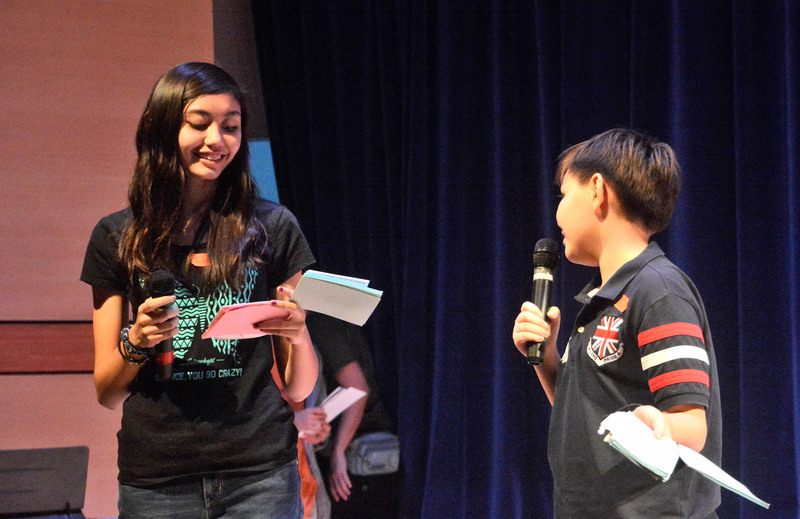 I was also part of an item of a skit about Concert Audience. 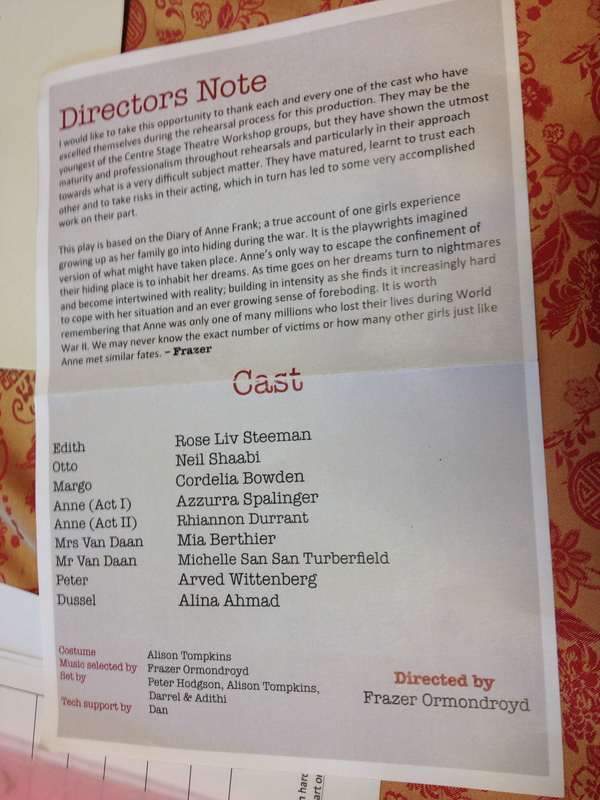 I contributed to the script and obviously as an actress too. 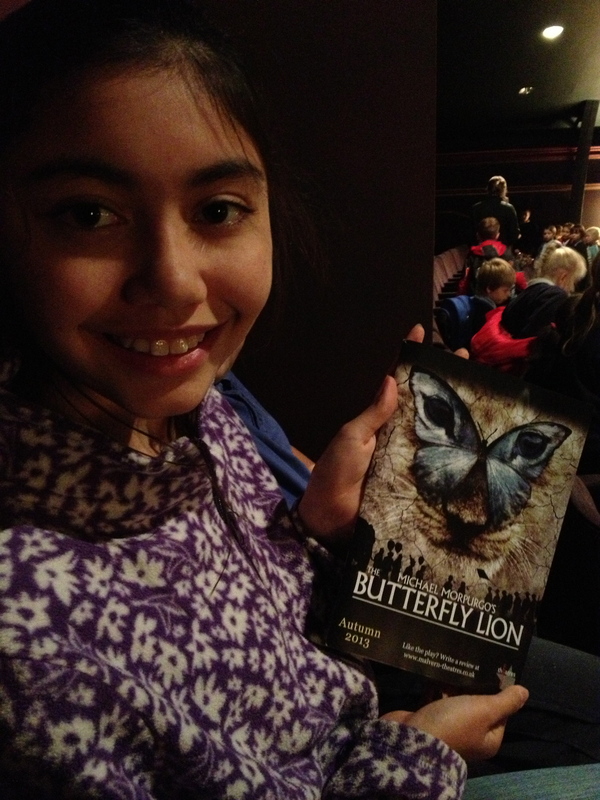 Getting ready to watch the amazing broadway style play with a programme in my hands. 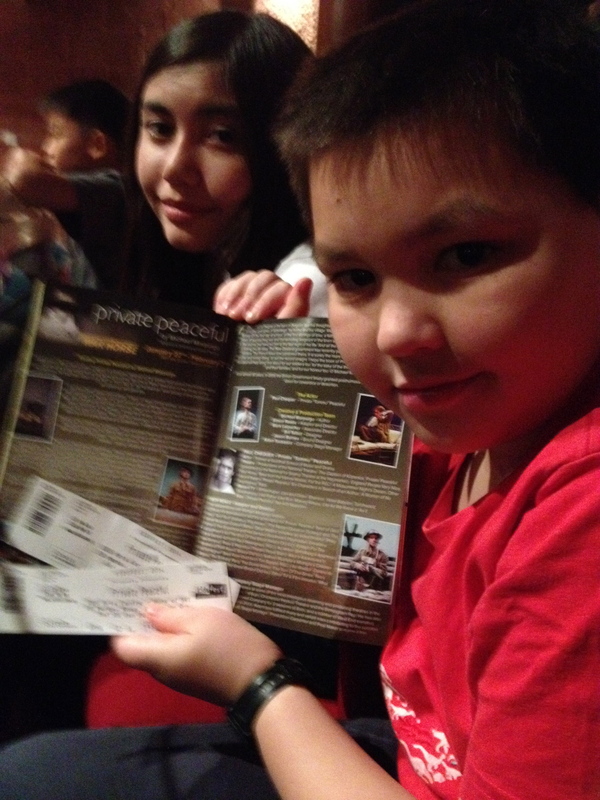 Private Peaceful came to Singapore, tickets and programme in Jon’s hand. 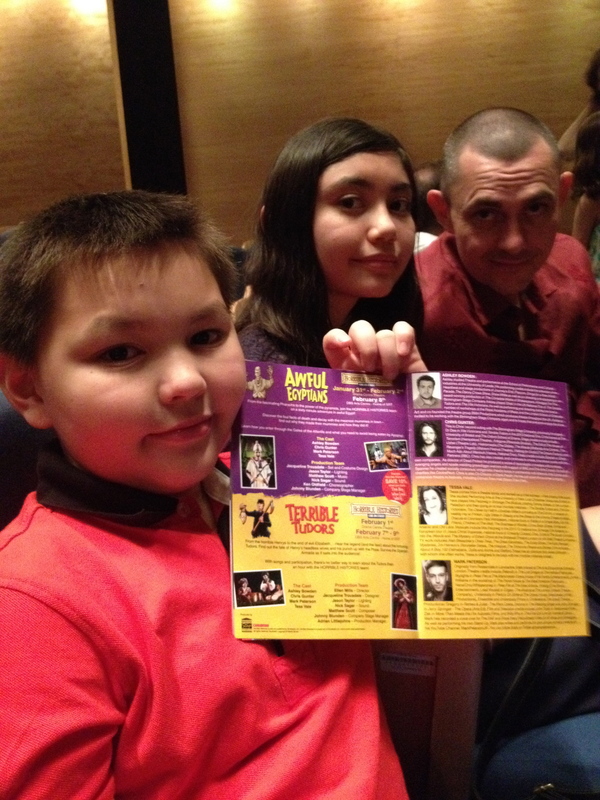 Can’t wait to laugh our way to our old time favourite of Horrible Histories – programme in Jon’s hand. 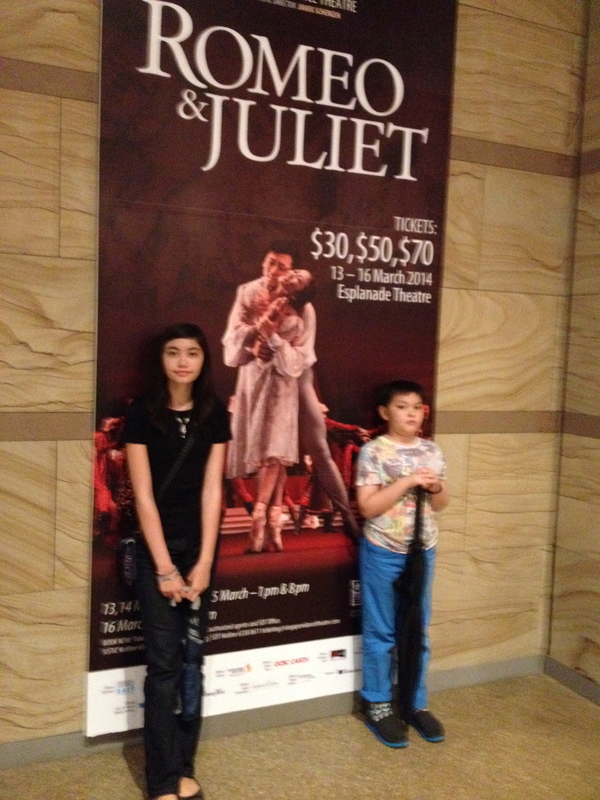 The Merchant of Venice presented by The Singapore Repertory Theatre, Fort Canning Hill Singapore, 23 May 2014. Please read here for my comment on The Merchant of Venice. Click here for my thinking on Mid Summer Night’s Dream. Julius Caesar presented by Shakespeare’s Globe, The Globe UK, 29 July 2014. Continue here for my review on Julius Caesar. When I did my hoilday programme on A Mid Summer Night’s Dream, it was the beginning of my journey to learn about Shakespeare. I went to many Shakespeare’s play in Part B of this award. Please see above for my reviews on some of the play. 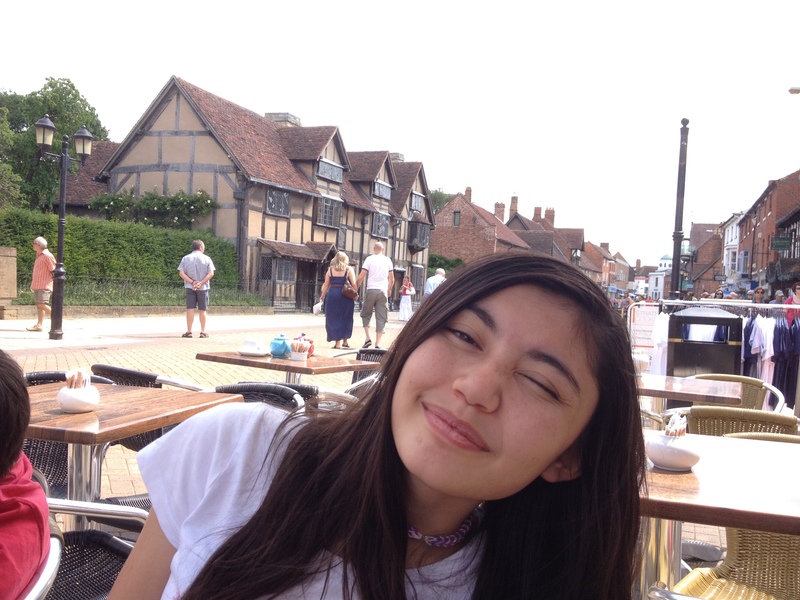 In July to August 2014, I also did a trip to Stratford Upon Avon to visit Shakespeare’s birthplace. I learnt alot about Shakespeare on this trip. Among all the birthplace location, my favourite is Anne Hathaway’s family home just outside town. I think the guides there have fantastic knowledge about beginning of idiom. Instead of just a biography of William Shakespeare which you can find on many websites, I decided to write about more on confusion surrounding Shakespeare’s work and reputation. Here is my 1000 words on Confusion about Shakespeare. 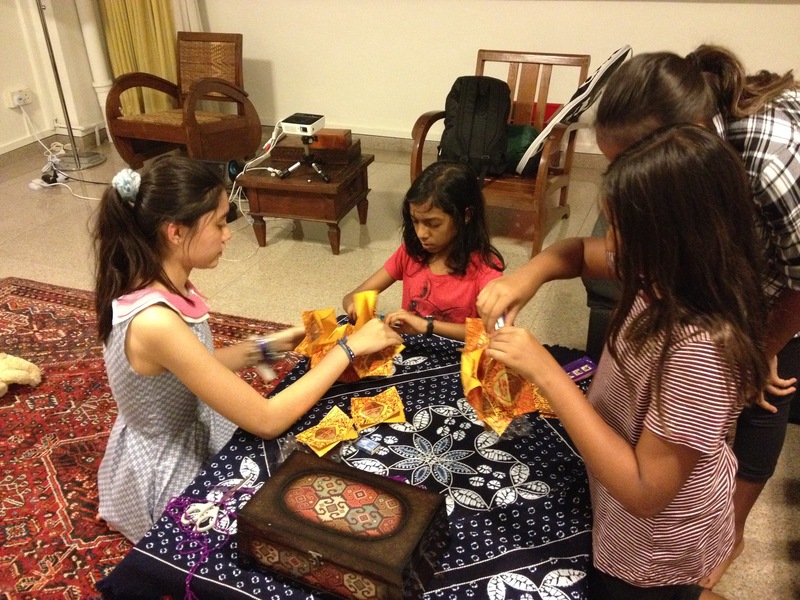 Please click here to read about my experience of learning and sharing. I remembered that I used to get stage fright and I did not like it. This is why at first I did not want to act. Obviously I was wrong. It is really interesting. Over time, the stage frights went with all the performances and chances in the limelight. I do not get stage fright much these days. My interest in acting has overcome that fear of going on stage. I still get a bit nervous when I have to play my violin publicly. Perhaps it is because there are many people who can play the violin better than me. When most people hates reading Shakespeare, I have found him to be intriguing. It was only recent that I begin to gain this fascination in his writing. Shakespeare has this amazing way of expressing emotion through words. I would like to write like that. I look forward to the next art awards and perhaps by then I can share my love for music and writing a little more. Hi Sansan, thank you for the reviews and posting. Can you write something about the Midsummer Night Dream. I was there with you in both play in the two location. I like to know how you compare the two play. Which do you think is better for younger audience like your brother. The Globe’s Hamlet in coming to town in Singapore. Why do you think we should go or not go and watch it? I think that the one i acted in is the best for younger audience because its shorter :p but if i have to choose then it is the Globe. I think Hamlet is a great play but it is expensive and i would rather not go is we don’t get good seats. Thank you so much for all the writing you’ve shared on Shakespeare. I’ve seen several of the same plays (I’ve never been to THE Globe Theatre but Carla has), but I’ve never had the opportunity to really investigate them in depth like you’ve done here. I especially liked your choice of writing on the confusion surrounding the authorship of some of his work. It is interesting how you can overcome fear of being on stage doing one thing and find that you have to overcome it again in a new venue. Although I think it gets a bit easier every time you overcome stagefright, I know that even with years of acting and singing on stage I got very nervous the first time I spoke in a boardroom or did karaoke. Hi Uncle Dan,it is very frightening to go on the stage but it gets better each time. If you have a chance it is definitely worth it to watch a play at the Globe. However if you can’t, try this website, https://globeplayer.tv/. You can rent or buy Globe’s production. First, let me say that your title for your blog is very cool. I have witnessed parts of your journey in art, drama and the crafts and know that it plays a big role in your homeschooling life. In the drawing and painting arts, I love ‘Always watching you’ and it gives me a sense that it represents something from within you. The other one that is very interesting is ‘Last life’ and reading the poem brings life to the painting. In drama, your interest in that area is clear as you have been involved in this art form for a good length of time. 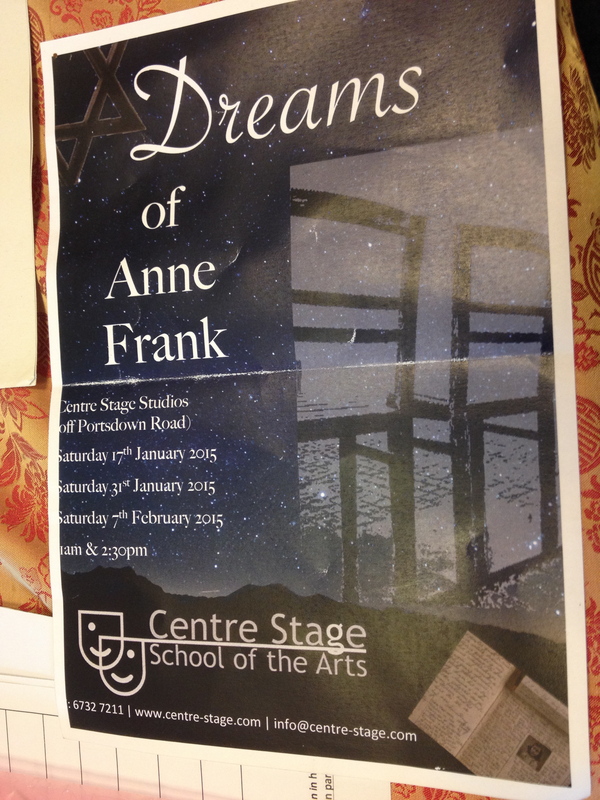 I watched the ‘Dreams of Anne Frank’ with you acting as Mr. Van Dan. You played your part admirably even though it was that of a man. The skills you are learning in drama, I’m sure, helped you in delivering your role as Mistress of Ceremonies at the Homeschool Concert. You did it with confidence and ease. Reading through your blog, I see that you show a keen interest in following up on your interest by attending plays wherever possible. That is an impressive number you have covered in a couple of years, and from which I gather that you like Shakespeare very much. You are also an avid reader and have an interesting array of books that you have read for someone your age. You have initiated an interest in me to read some of those books. 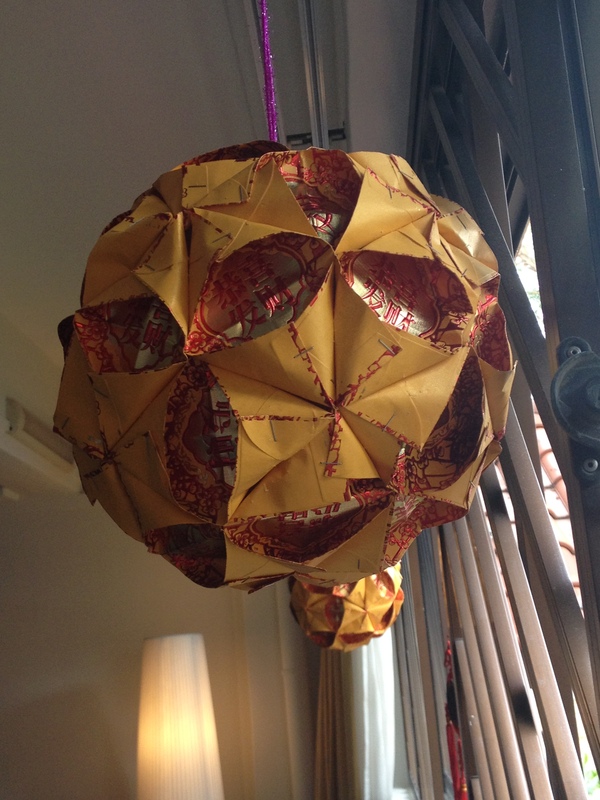 I love the lantern that you made and also taught others to make. Its looks quite complicated and a great idea to use gift packets with beautiful combination of colors. 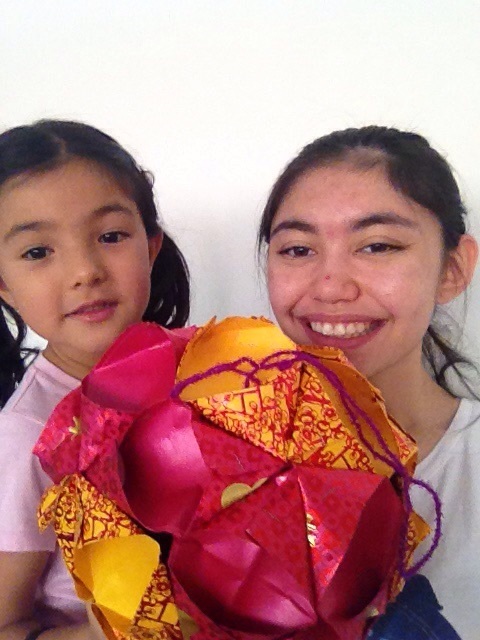 I understand from Anya and Naomi that they had fun learning to make that lantern from you. Continue this journey and am sure there is much to discover in the realm of arts and within yourself. Thank you Auntie Anitha, I really appreciate your feedback. It is very encouraging. Hopefully, it is enough for Bronze Award and I can’t wait to do the Silver Award. It is imressive to read and totally engaging. You have shown how you are following your own creative interests and inspiring others who read your blog. Well done!